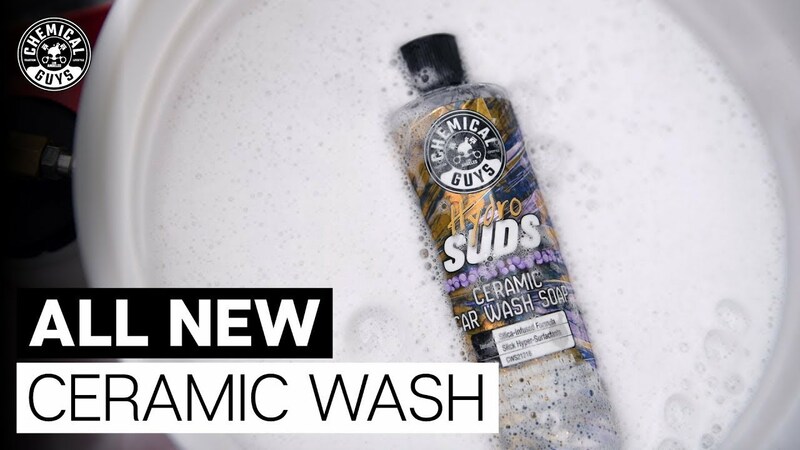 HydroSuds Ceramic Car Wash Soap combines a hyper-foaming pH neutral soap with the high-gloss shielding properties of SiO2 to deliver a hydrophobic wash that delivers a brilliant jaw dropping shine. HydroSuds is infused with nano SiO2 that leave behind ceramic protection and incredible gloss with every wipe of your mitt. HydroSuds offers a good level of protection alone, leaving a silica-rich film behind that helps repel water, dirt, and other pollutants, keeping your car cleaner longer. Use it on a non-coated car to add water beading properties, or on a coated car to revitalize your ceramic coating with a simple wash and dry! 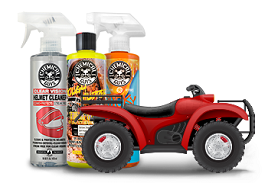 Shoot thick foam like you’ve never seen before with HydroSuds, then watch as the unbelievably thick foam sticks hard to your paint, gently encapsulating the abrasive dirt and grime and guiding it off your paintwork for an ultra-glossy scratch-free finish. This advanced hyper-concentrated formula only requires 1 – 2oz to generate truly incredible amounts of thick foams suds in your foam cannon, gun, or bucket! HydroSuds is mixed with SiO2, the main ingredient in ceramic coats, which revitalizes your coating by simply washing your car. The perfect aftercare soap, HydroSuds improves durability, gloss, and beading of any existing ceramic coating, sealant, or wax. 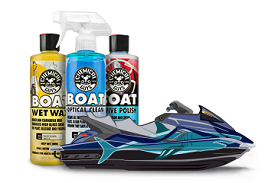 Just 1-2oz of this hyper foaming formula helps maximize the life of your coating while refreshing the look and leaving behind a glass-like finish. Want the ultimate protection? 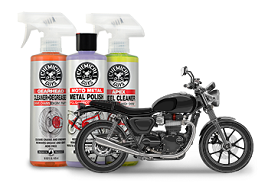 Use HydroCharge Ceramic Spray Coating and then maintain with HydroSuds!